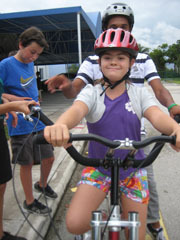 Thank you so much for letting us borrow a Buddy Bike and Helmets for Camp DMC! The children absolutely loved riding them. 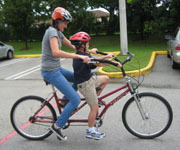 We were able to use the bikes as motivators for completing work - the children were able to earn bike rides if they followed the rules and completed assignments. 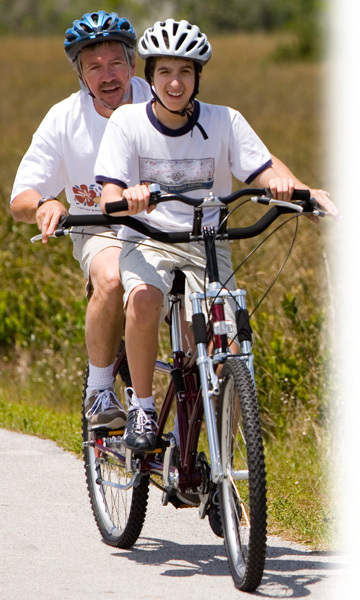 In addition, some of the children seek sensory input that riding the bike was able to provide, and bike rides at regular intervals helped keep instances of inappropriate sensory seeking behaviors down. 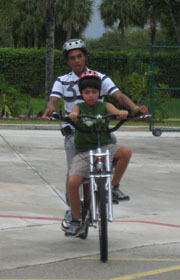 Another very cool fact - we actually allowed STEPS Interns to ride the bikes with the children as part of their responsibilities and bonding experiences with the children. STEPS Interns are high school students with disabilities who were working with us as their summer job site because they want to be camp counselors or work with children when they enter the workforce. Attached are a couple of pictures of our kiddos having fun that I thought you would enjoy.